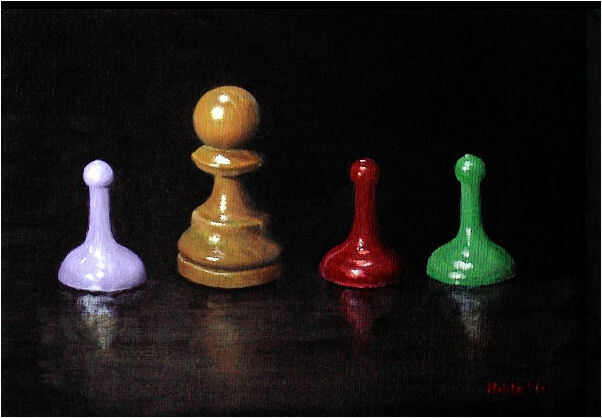 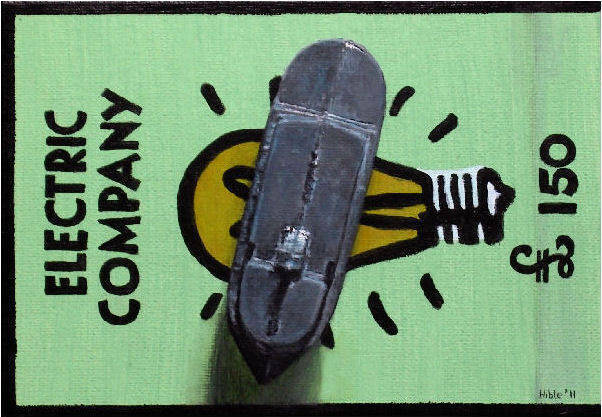 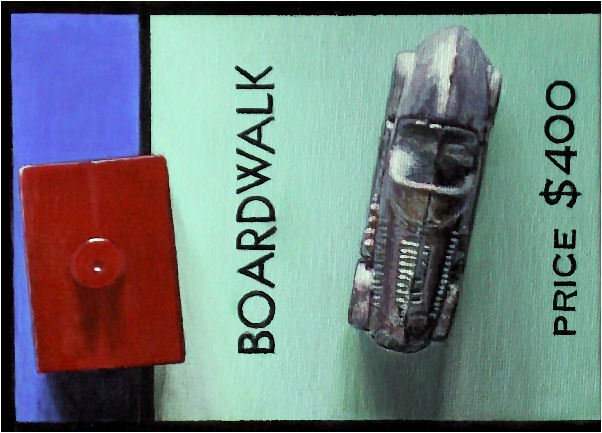 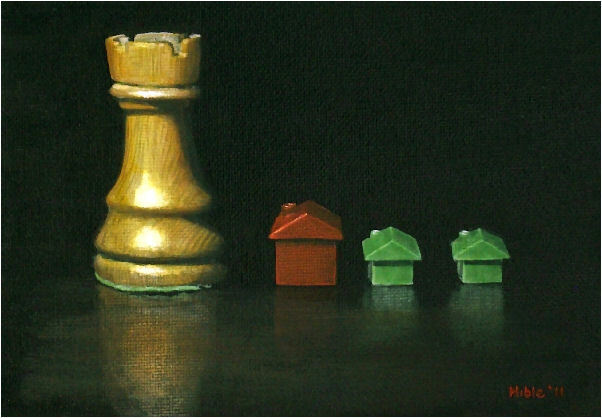 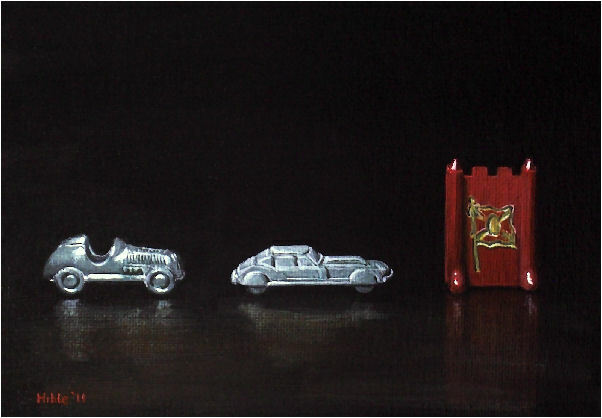 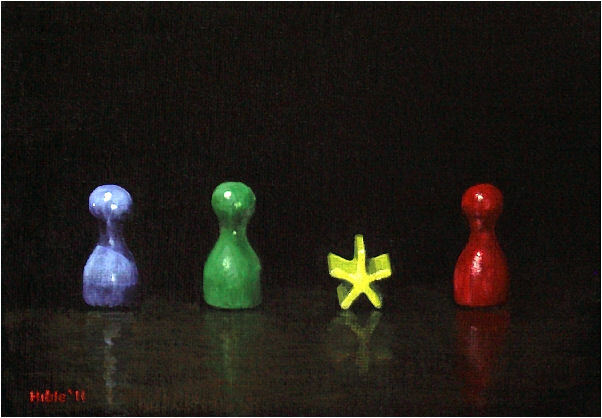 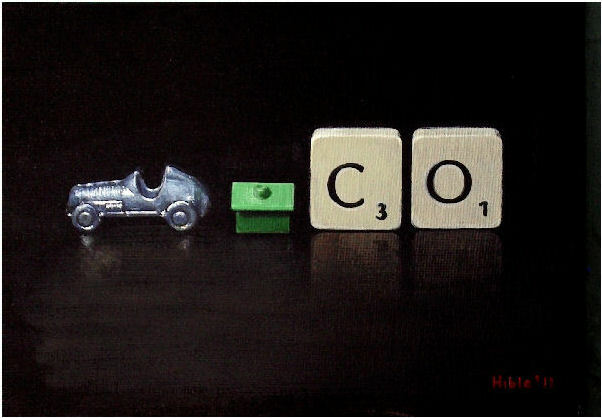 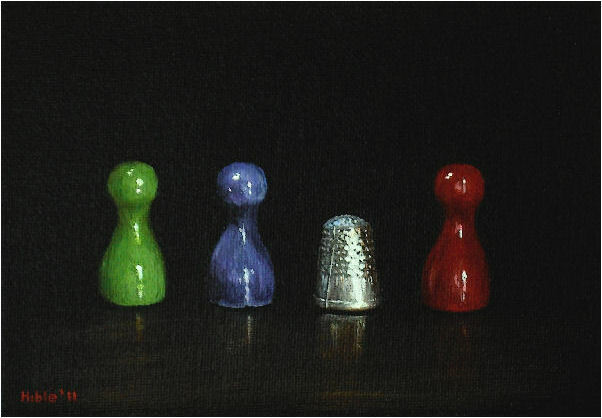 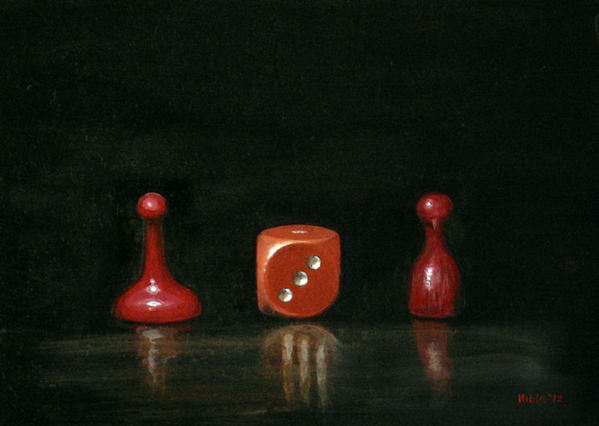 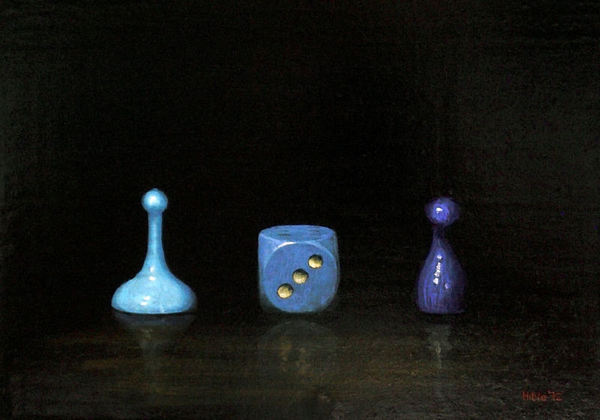 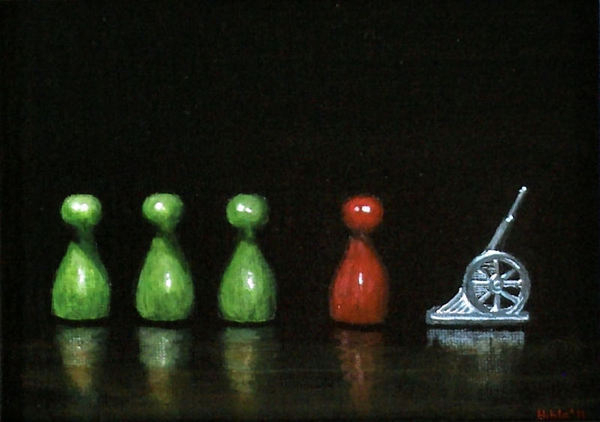 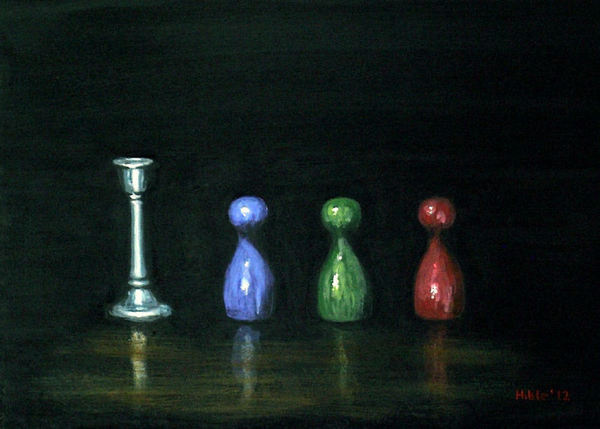 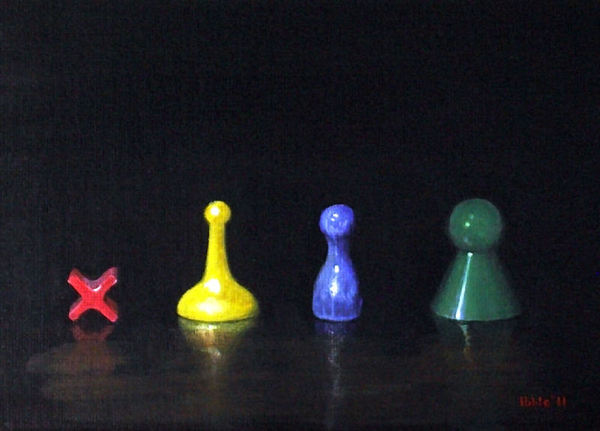 An ongoing series of still-life paintings depicting close-up views of board games in progress, showing aspects of life being played out. 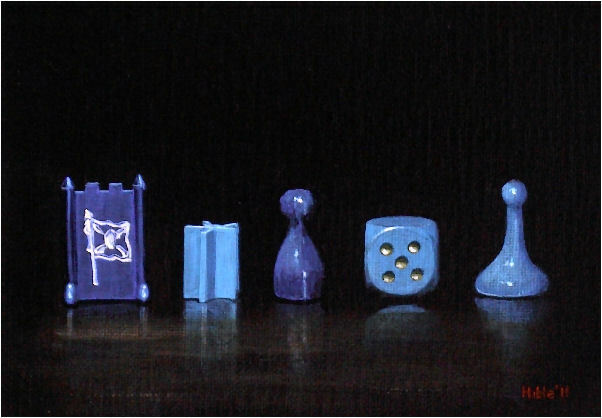 These are pieces produced to complement the series and show top-down views of boardgames in play. 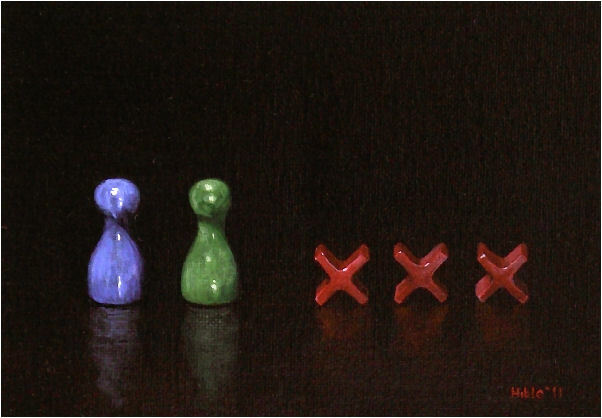 7x5" miniatures produced to complement the series, showing playing tokens and gameboard squares.